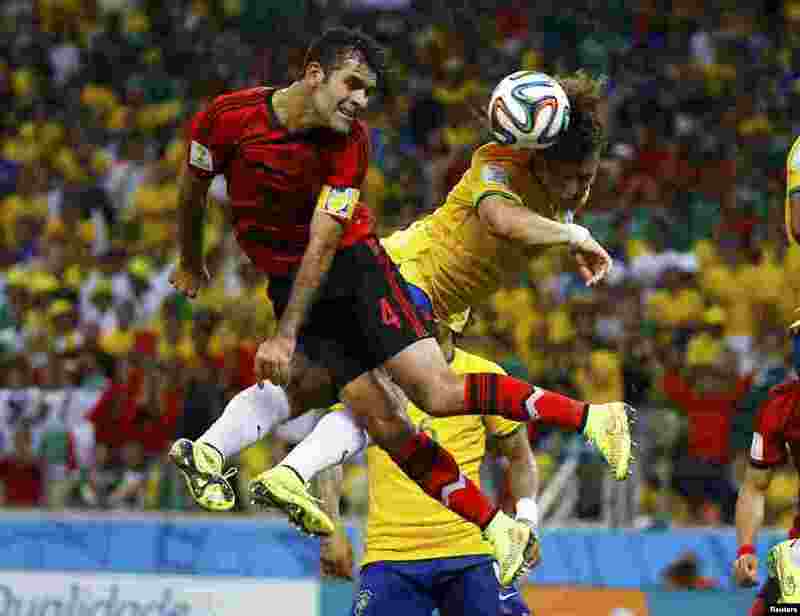 1 Mexico's Rafael Marquez (left) fights for the ball with Brazil's David Luiz during their 2014 World Cup Group A soccer match at the Castelao arena, in Fortaleza, June 17, 2014. 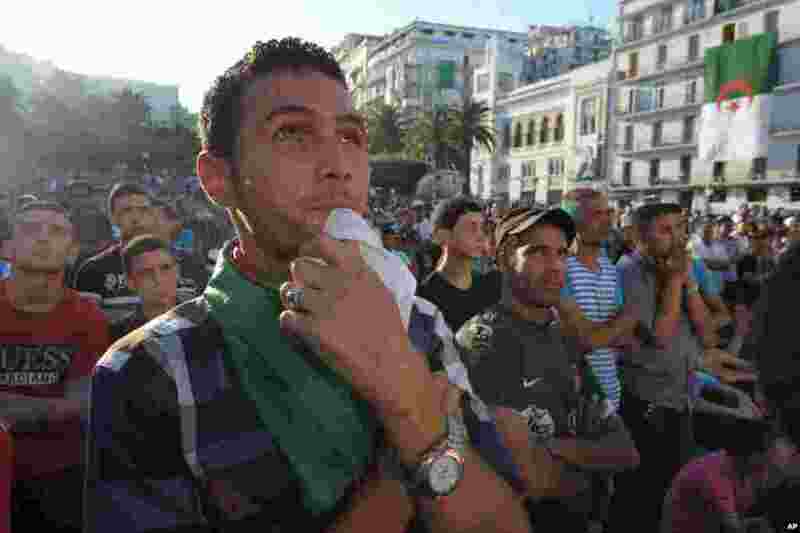 2 Algerian soccer fans watch their team's World Cup soccer match with Belgium on a large screen, in Algiers, June 17, 2014. 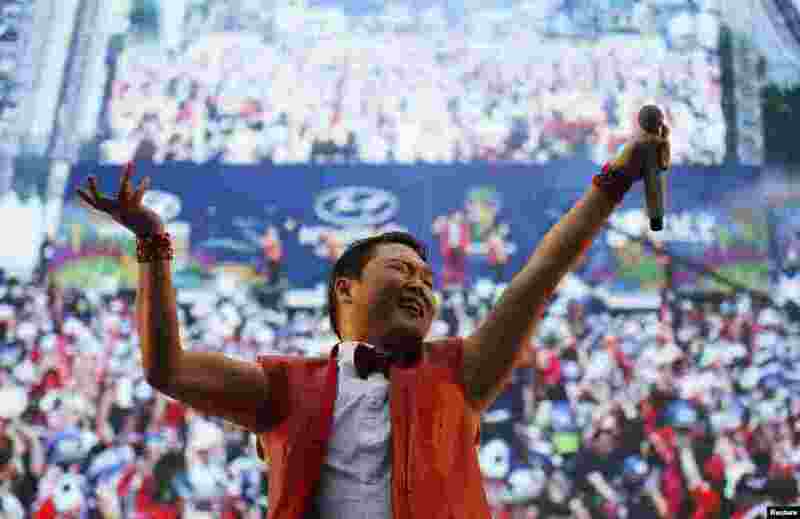 3 South Korean rapper Psy performs during a public screening before the 2014 World Cup Group H soccer match between South Korea and Russia, in Seoul, June 18, 2014. 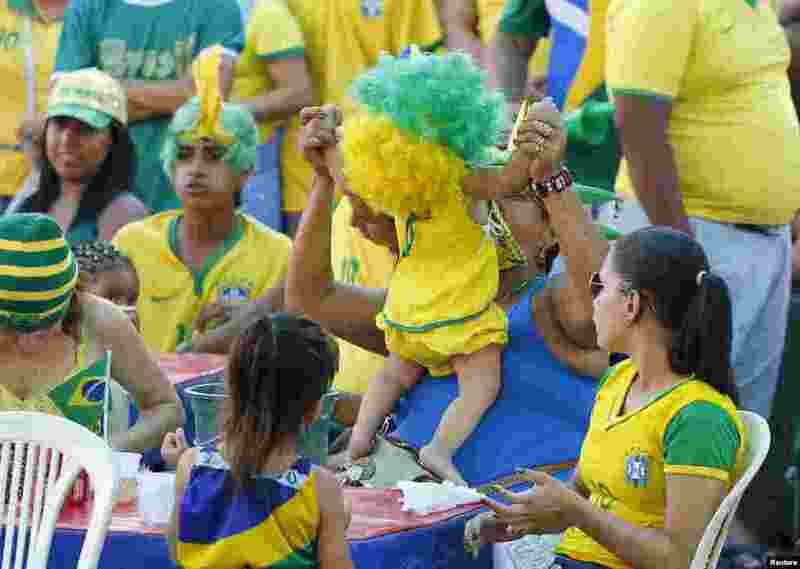 4 A baby wears a wig while playing among Brazilian soccer fans watching the match between Brazil and Mexico during the World Cup 2014, in Manaus, June 17, 2014.